Rodriguez, who makes wine in nine regions of Spain, from his family estate of Remelluri in Labastida and the ancient vineyards he has revived in the region, to Ribera del Duero, Toro, Galicia and as far south as Malaga, is one of a disparate group of producers becoming increasingly vocal about the limitations of the Rioja DOC. They have different ways of expressing themselves but their point is simple: the official classification of Rioja into the three levels of Crianza, Reserva and Gran Reserva is an instrument too blunt to do justice to the complexity of what is popularly known as “the region of 1000 wines”. The man who set the whole thing off is Juan Carlos de Lacalle of Artadi, whose Viña el Pisón has the distinction of being one of Spain’s most expensive wines. Indeed, at a little under €500, the 2007 is one of the world’s priciest bottles. Early in 2015 the Rioja press reported he would be leaving the DO. From the 2014 vintage all Artadi wines will be labelled Vino de Mesa, and will not carry the Rioja name or official back label stamp. The singularity of Rioja’s classification goes back to the 19th century. Historically, Rioja’s bodegas have been master blenders, sourcing grapes from all over the region, developing a distinctive house style. The classification is geared to wine age: DO regulations state that Crianza wines must spend a year in oak and a year in bottle, Reserva for a year in oak and two years in bottle, Gran Reserva two years in oak and three years in bottle. Village names are not allowed on bottles. No notice is taken of place – for most consumers it is irrelevant that Marques de Murrieta’s Castillo Ygay comes from one of the most famous single vineyards in Rioja Alta. “The system implies that everything starts when the wine is in barrel or bottle. There’s no emphasis on the vineyard,” Murrieta’s owner Vicente Cebrian says. The land is pushed further into the background by the fact that only a handful of bodegas own their vineyards. Almost all (Murrieta is a rare exception) source their wines from multiple growers, all over Rioja, working very small plots: the average size of vineyard in Rioja Alavesa is one third of a hectare. The concentration on blending, Rodriguez says, means that “we forget the Grands Crus”. Terroir is lost in favour of process. 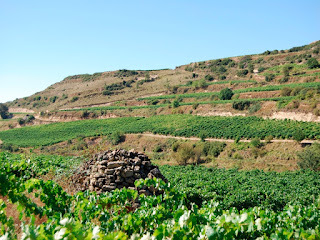 The idea of Rioja as homogenous is quickly exploded by a visit to the eastern tip of Rioja Baja, the biggest but least-celebrated of the three sub-regions of this sprawling appellation. Baja’s main town of Alfaro has the greatest vineyard acreage of any town of Rioja. All the great producers source tonnes of grapes from here. But despite the efforts of the bullish and charismatic Alvaro Palacios (Decanter’s Man of the Year 2015), whose family winery, Palacios Remondo, is in Alfaro, Baja struggles for recognition. There are many reasons for this, the main one being the craze for Tempranillo in the 1980s, which is fine up north but can get overripe if it’s too warm. Palacios is busily regrafting back to Garnacha. The “reformers” are voluble, passionate, dynamic – and inchoate. They agree a quality level should be added to the DO, but they haven’t put together any sort of proposal. Rodriguez believes his terroir among the best in the world but says he doesn’t want to get bogged down in bureaucracy; Palacios reckons change will come, “but not until my grandchildren’s time”. Cebrian is adamant they should “reform the DO but not break it.” Even a bodega as conservative as Marques de Caceres agrees some sort of reform would be welcome. Cristina Forner, its president, sees no reason to leave the DO, though she agrees a way should be found of moving “towards models focussed on quality with future potential.” Caceres has already launched its own “estate” range, Excellens, five wines sourced from high-altitude vineyards with all the emphasis on vine age, reduced yields and limited production. Others agree that the DO needs to be improved, but are ambivalent about how it should be achieved. At Bodegas Roda, founded in 1987 and one of the most renowned of the Rioja modernists, export manager Victor Charcán says, “Yes, the classification should include vineyards. Some sites are better than others.” But he adds, Roda is a blending house, so village designations would be irrelevant to them. “Any reform must be handled with great care,” he cautions. Bear in mind we are talking about adding value to one of the world’s most recognised, and loved, wine brands. Rioja sells 400 million bottles a year; eight out of ten bottles opened in Spain are from Rioja. The top bodegas have markets in 120 countries; the UK market alone is worth £220m. With sales like this, it’s not surprising the majority of producers don’t see any need for change. But it’s happening anyway. Those who know Rioja have long understood the stylistic difference between modern, terroir-driven wines and those that are more traditional and oak-dominant. “What’s really exciting for Rioja lovers is that you now have the choice between traditional and modern,” says Pierre Mansour of the Wine Society. Bureaucratic change will neither help nor hinder this thirst for knowledge of terroir. 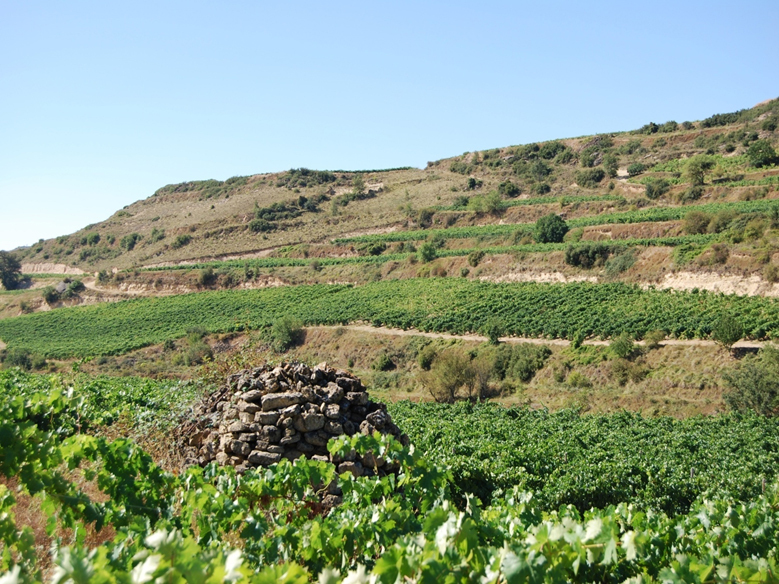 Artadi, Palacios, Rodriguez and other pioneers will carry on as they are, and their village lands will gradually come to the notice of those keen to delve deeper into Rioja. More and more bodegas will follow suit as they see the value such cuvées bring – and more and more of Rioja’s 17,000 growers, like Pedro Balda, who labels himself “viticultor” and produces 1200 bottles, will release fascinating artisanal wines. 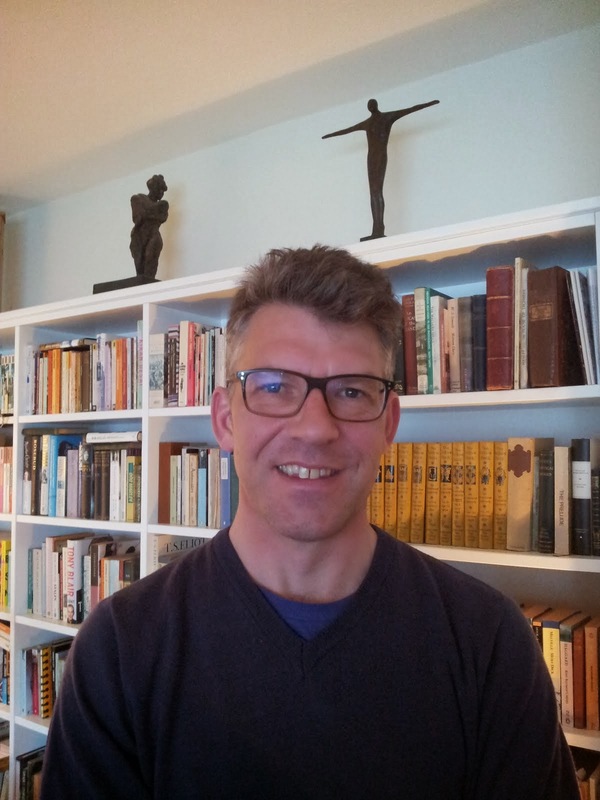 The Hosemaster of Wine – misfiring muckspreader or lord of misrule? They used to say of Evelyn Waugh that he wrote like an angel but had a foul personality, and of his son Auberon, that his pen was scurrilous but he was an awfully nice man. It makes me think of Ron Washam. I’ve met him a couple of times and he seems a thoroughly decent chap – and about as aggressive as a basket of sleeping kittens. Not so his alter ego, the Hosemaster of Wine (an inspired moniker), who sprays all and sundry with his vituperative wit. No one is exempt. He’s laid into Jancis Robinson more than once. Her Wine Grapes magnum opus was subject to one of his notorious “blind reviews” (he was piqued, he said, that his review copy went astray). A sample sentence (difficult to choose just one) – “the book is massive. It’s seven pounds. Seven pounds of DNA. Sounds like a party at Silvio Berlusconi’s house” – encapsulates the Hosemaster’s ribald tone. His cheery insolence teeters nerve-wrackingly on the edge of malevolent spleen – and you have to have a robust sense of humour to withstand the barbs when they come at you. Jancis seems to have one (she’s written about him), but I don’t know about Georg Riedel, who caused Tim Atkin, who hosts the HM on his site, to issue the following apology: “On my website, I failed to explain clearly enough that the article was a piece of satirical writing and, as a result, I caused offence to Georg Riedel” and so on and so forth. Atkin would be well advised to post trigger warnings in future. The Riedel satire is a magnificent piece of sustained mockery, in which an imaginary Georg ponders the infinite gullibity of the wine drinking public and how much he can make out of it. “It’s a comic effect, really,” Ron has him say. “How far can we take this mania for worrying about which glass to drink our wine from? Like a great comedian, I understood that there was no limit. I simply had to deliver them with a straight face.” You have to know the Riedel family to really appreciate the delicious comedy of imagining a top-hatted Georg on stage pulling goldfish out of some kid’s ear. Robinson and Riedel are big fish (not to mix metaphors), and are quite able to look after themselves. But some of Ron’s targets are pretty soft. His latest diatribe against wine junkets fails on the simple level that it’s not particularly sharp. Mocking wine hacks on freebies makes taking pot shots at barn doors look challenging. Of course, I work for Wine Searcher (which gets a drubbing) but that’s not the point. The Hosemaster might occasionally resemble a misfiring muckspreader – a great wave of slurry and not all of it splattering the right people - but that’s neither here nor there. As Oscar Wilde said, the only relevant criterion for a novel is whether it is well or badly written – morality doesn’t come into it. Satire is no different – it should both shock and amuse, and if it doesn’t do these things, then it’s redundant. Now isn’t that just right? I used to write sommelier profiles, and believe me, they are difficult to make interesting. Great satire should shock and amuse, but it must also contain the tiniest grain of truth. The wine world would be a poorer place without the Hosemaster and his ribaldry. We need people to throw snowballs at the toffs in top hats. There was a compelling new angle to the launch of Jackson Family Wines’ Verité 2012 at the Dorchester in London’s Mayfair this week: a comparative tasting against three of Napa’s mosh cultish of cult wines. 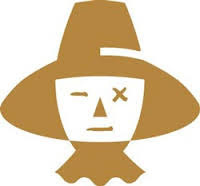 The tasting featured the three imminent new releases plus a non-blind look at the 2005 Verité La Joie alongside the same vintage of Harlan, Scarecrow and Screaming Eagle. It’s been fascinating to watch the trajectory of the Sonoma wine over the last few years, how it has steadily grown in confidence, and how its creator Pierre Seillan has gradually positioned it as the thinking wine lover’s California cult. Pitting the wine against the greats is nothing new: last year JFW showed it alongside Lafite 2001, Mouton 2004, Grange 2007, Ornellaia 2004 and other icons. It performed very well. The story of Verité has been told many times: how Jess Jackson asked Seillan if it would be possible to make a California Merlot as good as Petrus, and how Seillan replied “Pourquoi pas?” and produced the first Verité in 1998, a wine still spoken of in hushed tones by the Sonoma team. 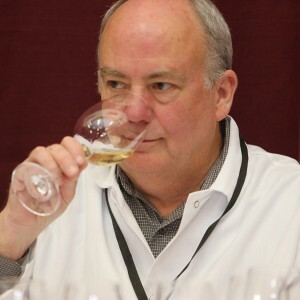 Verité is lauded in the US, where Robert Parker has handed down eight perfect 100-point scores over the years. In the UK they have been accepted, said Greg Sherwood of London’s Handford Wines. “People are no longer questioning the quality of the Verité wines but finally delving into the terroir and vintage conditions that created these wines”. There are now three Verité wines, based on the three great Bordeaux grapes, Cabernet Sauvignon, Merlot and Cabernet Franc. According to Jackson’s – and Seillan’s – vision, each wine aims to evoke a different Bordeaux commune. The Merlot-based La Muse is inspired by Pomerol; Cabernet Franc-centric Le Désir is a St.-Emilion follower, while the Cabernet Sauvignon-based La Joie takes Pauillac as its benchmark. High-altitude Sonoma, with its dozens of orientations and complex soils, can produce wines of great sophistication. And in 2012, they were blessed with a winning vintage, it appears. Banke herself adores the vintage. “It’s like coming back to California after [the cool and difficult] 2011. “It was wonderful on every level. There was heat, but not too much, the acidity and the tannic structure are perfect. Sonoma 2012 is like Bordeaux 2005.” However, she insists on keeping the prices stable. “I want people to drink these wines,” she says. As well they might. Schmitt (the only non-partisan member of a panel consisting of Banke, her daughter Julia Jackson, Bevan, JFW's in-house master sommelier Dimitri Mesnard and marketing director Gayle Bartscherer) and the majority of the audience (by a show of hands) agreed that in terms of power and finesse, brightness of fruit, evolution and balance, La Joie 2005 is not only equal but in some ways superior to the Napa wines. Some mentioned that it was in the Napa wines they had noted the alcohol for the first time. One person suggested the Screaming Eagle was “one-dimensional compared to the Joie”. Finally – and this was a fact not lost on an audience mainly made up of wine retailers from around Europe – it should be noted that for every bottle of Screaming Eagle 2005 you can buy 10 bottles of La Joie. The three Verité wines will be available in the US, Europe and Asia at around $450 a bottle by the end of November. High tobacco notes on nose, then fresh young blackcurrant with leaf. Toasty sweet roast coffee and cocoa. Lovely tight-grained texture to the sweet and juicy tannins. Round and voluptuous, mouthfilling acidity with ripe small damson giving waterfalls of juice, exuberant, unrestrained, with a length that goes on forever. Bright ruby hue. Wonderful nose brimming with character, dark fruit, cassis hidden, sweet oak, cedar, snapped nettle stem. Palate dancing with fruit and sweet tannin, acidity releasing juice, flavours of coffee with some zest of orange, dry tannins lifted by juice, superb structure and mouthwatering length, beautifully balanced. Dark red with purple rim. Lovely cedary deep old nose, restrained though very elegant with hints of rot and truffle. High earthy violet perfume, coffee, black fruit, beautifully silky tannins, mouthwatering juice, brooding and full-bodied but superb finesse. Very evolved, almost reaching peak.